Understanding binding affinity is key to appreciation of the intermolecular interactions driving biological processes, structural biology, and structure-function relationships. It is also measured as part of the drug discovery process to help design drugs that bind their targets selectively and specifically. We recently launched a new short video showcasing the MicroCal PEAQ-ITC and how it is an essential piece to any biological interaction analysis toolkit for measuring Binding affinity and stoichiometry. PEAQ-Expert: New easy-to-use software to guide your way includes built-in videos on how to run an experiment, design tools showing you how much sample to use, and data quality checks and built-in suggestions for improvement. PEAQ-Quality: Increase productivity and the quality of your publications with a range of added features to enable high precision, well understood, and reproducible measurement data. PEAQ-Fast: Perform KD measurements, including analysis, in less than 30 minutes! Not to mention lower sample consumption requirements – all while being fully automated for ‘hands-free’ operation. Now you can be collecting data while you’re in meetings. 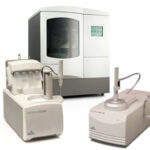 PEAQ-Advantage: Unmatched sensitivity enables you to measure interactions between molecules – protein/protein, protein/small molecule, protein/nucleic acid – that other ITC systems simply cannot measure. 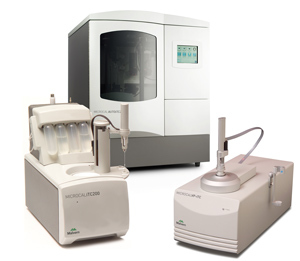 If you’re in the market for an ITC system, make sure you review our “Top 10 factors to consider when buying an Isothermal Titration Calorimeter” so that you’re asking the right questions before buying. Learn more about how the MicroCal PEAQ-ITC will bring gold standard, reproducible affinity and stoichiometry data to your lab.